Bimal Gurung has decided to reshuffle the Gorkha Janmukti Morcha's three important wings, central committee, core committee and Study Forum, and directed all leaders to reach out to the people. The Morcha president today organised a meeting at Gorkha Rangamanch Bhavan in Darjeeling and it was attended by members of the central committee and various frontal organisations, and elected representatives of the GTA and municipalities of Darjeeling, Kalimpong, Kurseong and Mirik. After the closed door meeting, Gurung said: "We have decided to reshuffle the central committee, core committee and Study Forum. I have also directed all our elected representatives and other leaders to start visiting villages and different areas across the hills and intensify their public relations campaign." The party's central committee consists of 93 members, while there are12 members on the core committee and eight in the Study Forum, Morcha sources said. Gurung said public meetings would be organised in Darjeeling, Kalimpong, Kurseong, Mirik and in the Terai and Dooars. "We will soon reshuffle the committees and then finalise the dates of the meetings," he added. 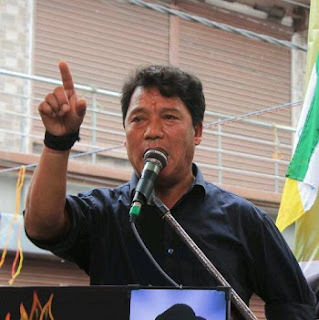 Gurung's decision to reshuffle the Morcha committees and direct his leaders to increase mass contact comes after Kalimpong MLA Harka Bahadur Chhetri announced his intention to float a new political party soon. Asked about Harka's new party, Gurung said: "We welcome the decision to form a new party. However, a party should be formed on one's strength and agenda and it should not rely on someone else."